Ornamental grasses are the ultimate success story as garden plants and tick all the boxes for today's gardeners. As well as providing a glorious visual impact with their swaying stems and feathery seedheads, they also provide a dynamic sense of movement and calming background rustle as the wind catches their leaves. On top of all this, they are easy to care for, provide excellent wildlife habitats and are truly sustainable if you plant the right one in the right place. 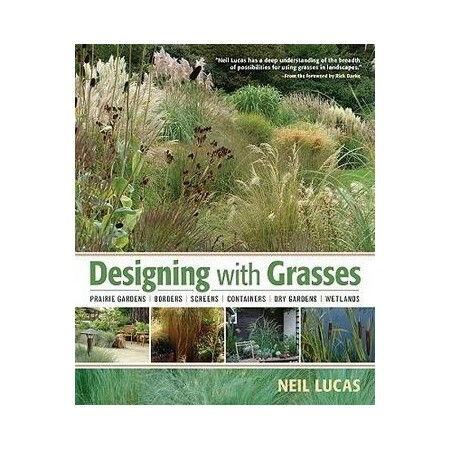 Neil Lucas is the UK's leading ornamental grass specialist. He is also the owner of Knoll Gardens in Dorset and holds six consecutive gold medals from Chelsea Flower Show. He writes for The Garden, Gardens Illustrated, Garden Design Journal and Amateur Gardening.